I arrived at halftime of the Brazil/Argentina match up. Although late, I was in better shape than most ticket holders. With the exception of two packed, soccer-style rooting sections, the arena was lightly populated despite the fact that this promised to be the better game of the two Semifinals Saturday (FIBA’s corny name… not mine) games. O.G. ball fans could get into this one though – two South American rivals that matched up well, both with known NBA players (Leandro Barbosa, Nene, Carlos Delfino) and unknown cats you want to get familiar with (Tiago Splitter, Luis Scola). Despite an early Nene leg injury, Brazil, powered by Barbosa’s offense, held an 8 point lead at the half. It’s like he goes in the phone booth when he leaves the confines of the NBA game and enters international play. With Phoenix you often hear about his timidity and confidence issues, but forget all that when he plays for his country. It’s the exact opposite of Kobe’s supposed transformation to more team style play. Barbosa was gunning — three’s, drives in the lane, wild fadeaways and flings — with no hesitation. Brazil still had the lead halfway through the 3rd, but then the coach subbed for Barbosa, and it all started to fall apart. Argentina’s big guns stayed on the floor and were able to make a run. Most of the damage was done down low by Scola, who was virtually unstoppable, perhaps due to Nene’s absence. He rang up several and-1’s, and after every make, channeled Mel Gibson in Braveheart — screaming, elbows bent at right angles, fists clenched. He had the Argentine section going nuts. The fans even tried to help out, as somebody threw a mini basketball onto the court during a Brazil free throw attempt. After a crazy run, Argentina had taken control, 65-56 at the end of three. Brazil wasn’t giving up though. Splitter wouldn’t let them. If he eventually ends up on the Spurs roster, he’ll fit right in. He was tenacious. His actual offensive moves were a little too finesse (weak hooks, lay-ups, etc. ), but he never gave up on any play, constantly fighting for offensive boards, diving on the floor, etc. But that finesse resulted in some highlights, as well. He completed a driving baseline reverse that you might expect from a guard, as well as a pass that was probably the highlight of the day, USA game included. At the top of the key, defended and with this back to the basket, Splitter no-looked it, over his head, to a wide open cutter. So nasty, and so quick that it went virtually unnoticed in the arena. Brazil followed the aforementioned Splitter reverse with a three, a forced turnover, and a Barbosa trip to the line. He was fouled HARD. They don’t play around in international play. It would have been a flagrant in the new kinder, gentler NBA, but Charles Oakley would love it. He only made 1, and cut the lead to 5. With only a few minutes left, Brazil went to the trap, and Argentina gave in, going away from their strong inside game to a smaller lineup. That was a mistake. They couldn’t come up with any points. Barbosa attempted to Kobe-itize the 4th quarter but he couldn’t hit anything. Brazil still managed to trim the lead to 3 (81-78, under 2 mins. ), because Argentina couldn’t keep them off the o-glass. Barbosa’s misses were like assists, and resulted in follow up tips and lay-ups. That was as close as it got. Paolos Quinteros nailed a 3, Barbosa drove wildly down the lane and basically threw the ball out of bounds, and then Brazil was called for a shady intentional foul on the following inbounds play. It was a wrap. Final score 91-80. The Argentine players (a mosh pit broke out!) and fans started wiling out, hyped that they garnered the automatic bid to Beijing without having to send all their stars. — Even in international play, one maxim holds true: people love free stuff. The crowd was the loudest (USA game included) when the FIBA dancers ran on the court to throw mini basketballs and t-shirts into the stands. — There is a long lost Barry brother playing under the name Federico Kammerichs. He’s got the mustache, the bony frame, everything. Should’ve known they were hiding a true big man somewhere, to complete their family starting 5. Or maybe that’s why he had to go into hiding? Rick don’t want no big man as HIS son! –That Jay Jay mascot is just plain disturbing. –I feel bad for Jeff Van Gundy after seeing Scola play. All those years in Houston he always wanted a player that was, in his words, a “pitbull.” Well, Scola is that dude. If his skills translate to the NBA, his personality will have a huge effect on the Rockets. And onto the main event…USA vs. Puerto Rico…hoo-oooo!!!!! The first players on the floor for pre-warm-ups were Chauncey Billups and Tayshaun Prince — who else would it be? That is hard work. That is dedication. That is teammates. THAT is Pistons basketball. The only other player to join them was Dwight Howard. Whereas Chauncey and Tayshaun wore their complete uniforms, Howard had on his shorts and a sleeveless Under Armour-type joint. I think he just wanted to remind everyone that if he chose to, he could break human bones with his bare hands. Tibias, femurs, whatever. He has to do something to seem tough, because he’s so jovial. Howard spent most of his time messing around with the little kids serving as ballboys. Real warm-up time rolled around, and Team USA entered to T.I.’s “Bring ‘Em Out”, while Puerto Rico entered to a chorus of boos from the now fairly substantial crowd on hand. Was it really necessary to boo a team that the U.S. had already crushed by 39 in this tourney? LeBron (or was that Business LeBron?) and Howard put on a nice dunk show, while the arena camera operator decided to put a long-running Peter John Ramos isolation cam on the big screen. Awesome. Howard won the tip against the statuesque Ramos, and it was on. It seemed like Kobe was trying to take this one over early on. He fulfilled his role as team stopper by physically d-ing up Puerto Rican gunner Elias Ayuso. Ayuso had no luck in a 1-on-1 setting, but did get a few good looks coming off screens. Even on these, though, Kobe was all over him, pretty much only giving him Rex Chapman-style fadeaway j’s. One time, he got lazy, allowed a Ayuso tre, but came right back down the court and nullified it by hitting one himself. The D has been expected this tourney, but in this game, Kobe also tried to get off early on the offensive end. This aggression succeeded in drawing “KO-BE” chants from the crowd, and despite the fact that most of the shots were forced and defended well, he had 7 first quarter points. The easiest offense in the 1st quarter came from Jason Kidd, who tied LeBron with 8 to lead Team USA. Puerto Rico was obviously seeing if he could beat them, and unfortunately for them, he was on. This made up for the fact that he could not guard team captain Carlos Arroyo on the other end. Arroyo did him up several times, leading to lay-ups, and sometimes spectacular shots when other U.S. defenders helped. Arroyo and Ayuso kept it close, with the score 33-27, U.S., at the end of one. However, there were signs of impending doom for the pseudo-state. All of the U.S. scoring came effortlessly, whereas Puerto Rico survived on tough shots they had to work extremely hard for. In the 2nd quarter the Team USA started to pure out-talent them. They didn’t really stomp the life and hope out of them though, Puerto Rico’s own coach, Manolo Cintron, took care of that. Cintron inexplicably sat Arroyo and Ayuso, the team’s only offensive options, for most of the quarter. Relegating Arroyo, clearly the heart and soul of the team, to bench coach killed any hope of an Appalachian State-type upset. The U.S. squad refused to settle for outside j’s and relentlessly attacked the rim. Howard had two huge slams, while LeBron and Melo drove the lane with ease. Puerto Rico had no one to turn to on the offensive end, and the lead began to grow. Late in the 2nd Kobe was getting his rest, and it seemed like the perfect time to get Ayuso some easier looks, but he remained on the bench. Any sort of Puerto Rico winning scenario probably involved keeping the score close throughout, so the 15 point halftime deficit seemed insurmountable. And it was. Melo came out of the locker room on FIRE. He hit four straight three’s and an alley-oop right out the gate, then LeBron put on an offensive showcase that included a straight beasting on a 1-on-2 break. This keyed an absurd run that put this game away. With 3:30 left, Coach K called off the cavalry, or at least sat down the generals. Michael Redd, not to be outdone by Melo, put on his own three point barrage. They might as well have been playing in an open gym with no defenders. With 7 seconds left in the 3rd, Team USA invoked Lawler’s Law with the 100-69 lead, and this game was ooooooooo-vuh. — The question remains: Was Redd really brought onto the roster for his outside shooting, or was it so he can win the crucial “Battle Of The Bald Spots” against Manu, in Beijing? — The USA white unis were blindingly white. — Surprisingly, Kobe and Melo received the loudest cheers during player introductions. No LeBron love? — Puerto Rico loves the chest bump. — To avoid a 5-second call, Ayuso tried to simply throw it off his defenders leg, back out of bounds. He didn’t get the pass off in time, but I had never seen that attempted before, I don’t think. — During a break in the action, there was a fan dance-off, during which one contestant did the “Water Sprinkler”. Nightmare. — D-Wade made an appearance, sitting on the U.S. bench in his finest Team USA golf shirt. — Along with defense and a good team mentality, Billups and Prince bring another trademark Pistons’ attribute to the squad: complaining to the refs! They never missed an opportunity to politic with the refs over a foul call. — Today’s pre-warm-up participants are Prince, Billups, Howard and newcomers, Tyson Chandler and Amare Stoudemire. Looks like Amare did not want to be outdone by Howard, and came out in his own Nike version of the muscle-showing shirt Howard wore yesterday and today — he doesn’t want to go muscle-for-muscle with Howard, though. And Amare loves the kids too. — I caught the end of the Bronze medal game, a thriller that Puerto Rico eked out. Carlos Arroyo went for 30 points in 39 minutes, while P-N-C Elias Ayuso dropped 39 in 37. Now it seems shady as hell that they sat so much against the U.S. yesterday. — Luis Scola is a perm away from being the Argentine Snoop Dogg…oh wait, Martin Leiva already fulfills that role, you just have to catch him before he puts his hair up for the game. No word on how strong his pimp hand is. — All of team Argentina is out on the court early, doing full-fledged drill warm-ups. Several players seem to look longingly at the freestyle format the Americans are using. — Tayshaun keeps his toothpick in for warm-ups. FYI. — Amare is making sure his out-of-bounds three-point shot isn’t rusty. You never know when that will come in handy. — During real warm-ups, LeBron almost concussed a fan in the front row when he airballed an up-and-under one-handed dunk attempt, essentially throwing it as hard as possible into the front row. — Loudest ovations today during intros: Kobe again, Melo again, and Amare. — In the lay-up line, Dwight Howard managed to literally dunk his warm-up pants off… they fell to his ankles as he landed. — FIBA needs to go to Madlib and request a new Yesterday’s New Quintet album covering the various national anthems, for the Olympics. They only play the instrumentals for these games, so it’d be perfect. — U-S-A chants right away…the Argentine section relegated to the end zone area today. — Kobe takes the first shot, and handles the ball a lot early, with little success. He missed his shots and got called for traveling. Give it to Kidd! — Kobe guarding Delfino today, because he can’t guard their best player — Luis Scola — as he has done for other teams. That responsibility went to LeBron, and it was a mismatch. Argentina needed to get the ball to him more. Scola killed him early with a nice up-and-under. — Roman Gonzalez hit a hook over Howard, but he came right back at him with an and-1, and even hit the free throw. That has happened a lot with this U.S. team. If somebody gets got on D, they get it right back on the other end. — Team U.S. was all perimeter early, but hitting — LeBron and Melo both hit two, for a15-9 lead. Seems like they would prefer to stay away from Argentina’s bangers. — Melo hit another 3, that’s 9 of USA’s first 20 points. Bill Walton hasn’t been exaggerating when raving about Melo’s international game. — Dwight Howard followed an errant Melo three-ball with a dunk. SportsCenter wouldn’t know what to do if the NBA adopted the FIBA goaltending rules. — Mamba got his first three on a wide-open look that followed a bunch of passes, and drew the first “KO-BE” chants on the day. — LeBron ended the quarter with another 3 and a breakaway dunk. Team USA made sure they turned on the “We’re just better than you” option today. It’s a massacre early. — Billups fouled at the buzzer and the frustration causes Roman Gonzalez to slam the ball, earning him a technical. They didn’t need that. Billups knocked ‘em all down for a 35-14 lead after one. The double free throw technical in the international game is poison. — Deron Williams, who didn’t play until mop-up time against Puerto Rico, entered at the end of the 1st. Then again… maybe it was already mop-up time. — Amare single-handedly wiped out, literally, a 2-on-1 Argentine break, but Tayshaun jumped without having anywhere to go with the ball, and traveled. — Someone needs to sponsor a “Try To Throw It Over Dwight Howard’s Head” contest. He made a ridiculous catch on an errant pass from Bryant, then taught the rim a lesson. A few plays later, Bryant made sure he hit him in the numbers on a crowd-pleasing behind-the-back that lead to another rim-scolding by Howard. Then a successful oop to LeBron, then ANOTHER breakaway from LeBron, then a Howard breakaway windmill. It’s Silly Time. It’s like a rookie All-Star Game broke out! It’s a 30-point game ya’ll, 51-21. — Yeah, when Deron entered, it was definitely already mop-up time. — Howard blocked the tallest player on Argentina, Martin Leiva’s fade away, time to concede? — TAYSHAUN PRINCE, FOOLS!!!! He took his man off the dribble, and tomahawked it on Leiva out of nowhere! EAT YOUR BREAKFAST LEIVA! Even the non-highlight guys are getting highlights now. 59-34, USA, at the half. — RUUUNNN!!! Those bizarre contortionists/acrobats that TNT loves to joke about are the halftime show. — Argentine coach must be pissed, as he brings out an almost entirely different lineup for the 2nd half. — As usual, Melo starts a half with a three, followed by another by LeBron. It’s LeBrons’ world today. M-V-P. Will his J ever become this automatic every game? If so, we’re talking achievements that even Bill Walton couldn’t overstate. — Argentina is attempting to gun from the outside to get back in this, but they’ve already had two three-pointers blocked. They hit some, though, and bring it down to 20, 65-45. — Oh god…Martin Leiva loves the first meal of the day, apparently. EAT YOUR BREAKFAST LEIVA!!!! This time courtesy of Chef Howard. Kobe on the dime. — Despite the 20 point deficit, the Argentina fans are chanting hard, and still waving the flags. The rest of the arena gets loud with the U-S-A, but when they stop, the Argentines are still going strong. — Kobe has got his assist game proper today, most leading to dunks. An Amare dunk just gave him his 8th assist of the day. — LeBron hits two straight three’s, comes down for a heat check, and… AIIIRRR-BALLLL. 31 on the day ain’t bad though. He and Kobe exit, and that could be the end of their tourney. It’s 89-59, USA, so they won’t exactly be needed. — It’s Miller-time. Mike Miller has taken on the Darko-on-the-Pistons role of Human Victory Cigar. Except Miller doesn’t airball baby hooks in his mop-up duty. — Melo is the only starter on the court as the 4th starts. Will he try to eclipse LeBron as today’s top scorer? — He’s not going to have the chance. LeBron and Howard are back in, Melo out. 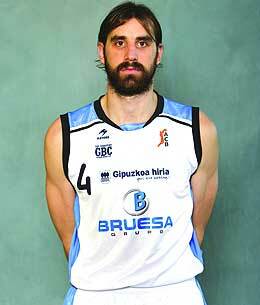 — Federic Kammerichs for Argentina is 100% definitely, Jon Barry and Brent Barry’s South American lovechild. Check the DNA. — Tyson Chandler sighting. Dwight Howard’s work here is done, with 20 and 5. And possibly a newfound free throw touch? He looked good from the line today, going 6-8, with his two misses almost rolling in. Chandler immediately done up by Scola down low. Houston Rockets…watch out West. — Despite being on the bench, the “KO-BE” chants just broke out. Melo cheerled from the bench. — Mike Miller drove the lane and was fouled, and soon after got a fast break dunk. The electric fence around the 3-point line must have malfunctioned. — It’s official; Team USA takes home the gold medal with the 118-81 victory over Argentina. And FIBA knows the deal… Kool & The Gang’s “Celebration” flows from the Thomas & Mack Center’s sound system. — The post-game ceremonies did bring some controversy, though, with Luis Scola winning the MVP. Granted, he deserved the award under the “who contributed the most individually to their team’s success” criteria, but how does a team win by 30-40 points EVERY night, and not get the MVP on their team? Needless to say, the crowd was not happy. — The final playing of our national anthem brings down the house. Next stop, Beijing.